Maine's Leading Paint Company, JGPainting specializes in both interior and exterior painting and staining. Our goal is always 100 percent customer satisfaction. Our friendly team of local painters have the experience to get the job done right. Combined with realistic pricing JGPainting is the answer to any of your home painting needs. We welcome you to give us a call, meet the owner, Jason Guimond, and discuss a plan for completing your next paint job. Mark T Newton & Co.
Mark Newton has been in the painting and decorating trade since 1972. With a team of talented employees and associates, Mark has established a strong, lasting reputation, well known among home owners, interior designers, and builders for high-quality painting, finishing, wall-covering, marbleizing, woodgraining and other unique decorative finishes. Devuono Painting in Rochester offers expert interior painting and staining for homes and businesses. We offer high quality residential and commercial interior painting. DeVuono Painting is a member of the Painting Decorating Contractors of America, with qualified professional painters available for all custom and specialty painting projects for your home or business. With over ten years of experience, the DeVuono Painting team ensures each job is treated with the same level of respect and care. Whether you need interior painting done for your entire home or looking for a faux finish or mural painting in your office or commercial property, DeVuono Painting handles it all. DeVuono Painting has emerged as the expert in all things interior, from texture finishes to concrete floor coating. Contact the Seacoasts painting contrator, DeVuono Painting in Rochester today at (603) 969-6364 for an estimate! 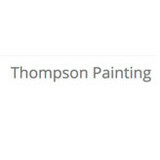 Thompson's Painting has been in business for 25 plus years and is committed to fulfilling your painting needs. About Fresh Coat of Portland Maine "Painting Done Right!" is more than a slogan for us - it is our commitment to provide the best quality and craftsmanship to every painting project we complete. We offer a wide range of services for both residential and commercial painting projects. Coupled with years of experience and quality painting products from Sherwin Williams, you can count on Fresh Coat to deliver the highest quality of service at an affordable price. I am Roger Teachout, the owner of Fresh Coat of Portland Maine, and I opened this business because I saw a need for a premier painting service in York County, Cumberland County, and the surrounding areas. Before launching Fresh Coat, I owned and operated several successful businesses in Southern Maine. Homeowners, business owners, and property owners deserve a painting company they can trust. Fresh Coat has a fantastic system with a wreath of knowledge and experience. Fresh Coat of Portland is locally owned and operated , but we are backed by a national company with an amazing reputation, great reviews, and a firm commitment to quality service. 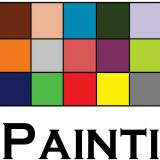 Granite State Painters is a full service residential and commercial painting company. We strive for excellence from the time of the estimate through completion of project. We offer a verity of services to meet client needs. Highly Detail Oriented Painting Contractor specializing in Fine Homes, Kitchens and Restoration Work. We have been in business for over 10 years now, with over 18 years of total construction experience. Painting now is our specialty, and we offer a variety of services from interior to exterior, and from new construction to small renovations. Even if you just need a bathroom repainted, give us a call! We work with contracts, so what you see in writing and agree on, is what you get. we wont cut corners or take your money and run. Liability insurance assures you that if a major accident happens, and we hope it never does, that your home and family are protected! Also, when most companies out there are literately "sweeping lead under the rug" we are professionally trained and certified by the EPA to contain the Danger correctly so that you and your family are safe. It could save you a lawsuit from your neighbors as well. We are clean and professional. You wont hear swearing, hear loud profane music, or see us smoking. We promise. Estimates are free, and with a handful of other trustworthy professional subcontractors who at times may be on board, it assures you that no job is to large to handle. Give us a call, email, or even an instant message, We would be happy to help you with your needs, and to add you to the ever building network of our happy clients. Residential & Commercial Painting Contractors Serving Central & Southern Maine. Locally owned small business for nearly two decades. We own our lifts & equipment. Free estimates! Trust your home to an expert who has experience and the know how to use exactly the right products to keep your home beautiful and protected! We are a family owned and operated business serving the Maine Coast since 1987. LEAD-SAFE CERTIFIED FIRM by EPA Fully insured with Edward Knight Insurance Co. We are committed to give you the best service to meet your satisfaction. CONTACT US NOW for a free quote! I grew up in England and learned my trade there. I am an independent contractor in the Seacoast area offering a hands on approach to your projects. I have over twenty years experience with paint and wallpaper. We offer Premium Products at the best prices in Maine and Boston. We always run sales and have some of the best authorized and knowledgeable employees. We offer Farrow & Ball and FesTool ... only the best for our consumers. Costello Coatings is a painting contractor / painter serving the South Portland, ME area. Services include Painting, House Painting, Deck Staining, Sealcoating & Crack Repair, Waterproofing, Pressure Washing, Interior Painting, Exterior Painting, Ceiling Painting, Roof Painting, Roof Coating, Epoxy Coatings, Garage Floor Painting, Cedar Siding Staining, Faux Finishes, Industrial Painting, Commercial Painting, Gutter Cleaning and Roof Cleaning. Serving towns of Portland, South Portland, Auburn, Biddeford, Brunswick, Saco, Scarborough, Westbrook, Gorham, Windham, Kennebunk, Falmouth, Topsham, Cape Elizabeth, Old Orchard Beach, Yarmouth, Freeport, Standish, Kennebunkport, Gray, Cumberland Center, Lisbon Falls, Poland, New Gloucester, Raymond, Hollis Center, Lisbon, Buxton, Harpswell, Casco, Durham, Limington, Naples, North Yarmouth, Bowdoin, Minot, Unity, Steep Falls, Sebago, East Waterboro, Pownal, Cumberland Foreside, Peaks Island, Orrs Island, East Baldwin, Bailey Island, Chebeague Island, Long Island, Cliff Island, Arundel, Bar Mills, Biddeford Pl, Biddeford Pool, Birch Island, Bustins Island, Cape Cottage, Cape Porpoise, Cumb Foreside, Cumberland, Cundys Harbor, Cushing Island, Danville, Dayton, Diamond Cove, Diamond Island, East Poland, Frye Island, Great Diamond Island, Little Diamond Island, Mere Point, Ocean Park, Pejepscot, Pine Point, Poland Spring, Pond Cove, Sebago Lake, South Casco, South Freeport, South Harpswell, South Windham, West Kennebunk, West Minot, West Poland and West Scarborough.